1. Python modes of operation. What modes of operation are supported by the Python integrated development environment? 3. How to input multi-instructions in interactive mode? 5. What are the disadvantages of interactive mode? 6. 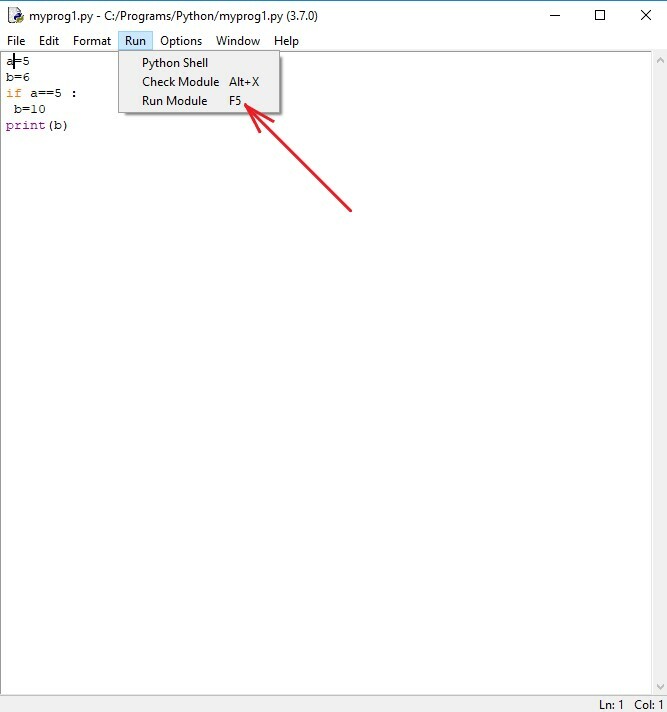 How to call the program mode? How to run a program in program mode? program mode. In this mode, the entire program is recorded first, and then this program is completely executed. Pre-program text must be saved. 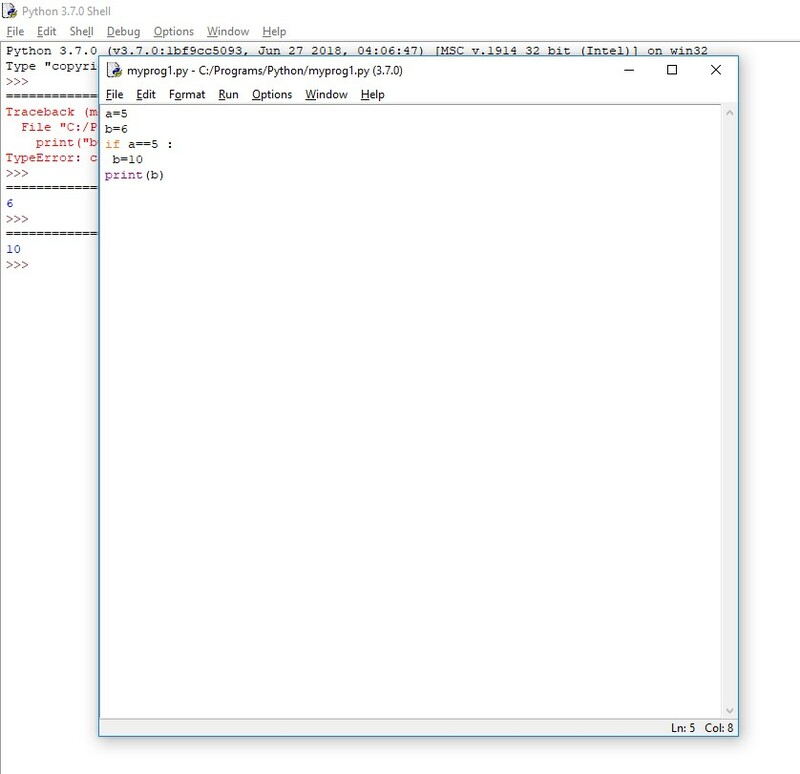 A Python program is named “script”. In interactive mode, the interpreter executes the instructions and immediately displays the result. You cannot save these instructions to a file. The interactive mode of the Python integrated environment is used to obtain instant calculations, conduct experiments, test programs “on the fly”. In the interactive mode, it is convenient to perform experiments on small code fragments, which can then be transferred to scripts that are implemented in software mode. Instructions that have two or more lines in interactive mode must be completed with an additional blank line. This means that in order to complete a multi-line instruction, you must press the Enter key twice. The above code executes a multiline if statement. To exit the if statement, press the Enter key twice. Program mode allows you to save programs for a long time. 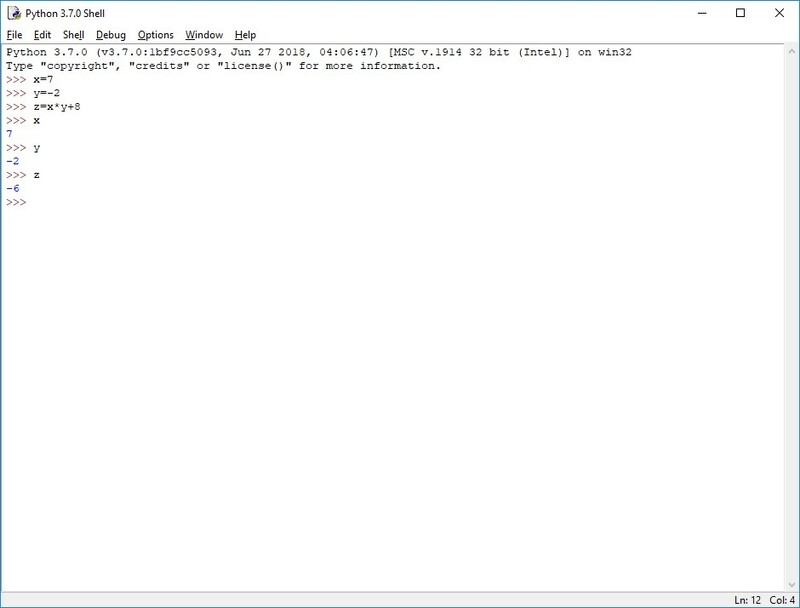 In program mode, the program text is first written to a file, then this file is executed in the integrated environment. Python files have the extension *.py and are called modules. Modules are simple text files. Code modules can be run as long as necessary. The Python interpreter executes all the program code in the module. Module files that are launched for execution directly are also called scripts. programs that are entered interactively disappear after execution by the Python interpreter. To perform them again, you need to type them again or use copy operations, which is inefficient. As a result, a new editor window will open in which you need to enter text in the Python language. Figure 4 shows the window of the file myprog1.py with the text of the program. To run the myprog1.py file, run the Run command from the Run menu or press the F5 key (Figure 5).